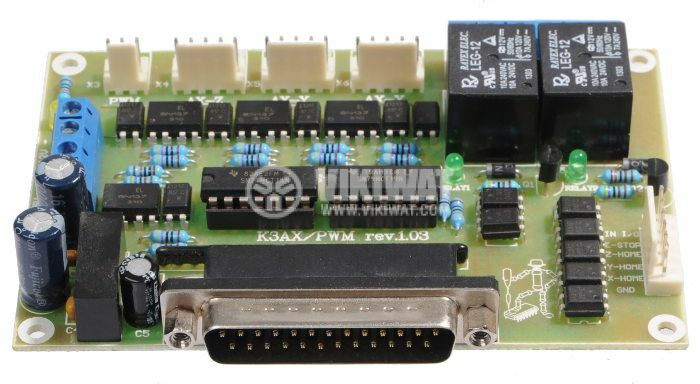 Controller K3AX-PWM serves as a connection between the parallel port of the computer and various actuators such as stepper drivers and servo motors, frequency inverters for asynchronous motors, simple and solid (solid state) relays and other executive mechanisms. List Price 57.90лв. VAT Incl. 55.05лв. VAT Incl. 52.11лв. VAT Incl. The controller has galvanically isolated inputs and outputs. PWM channel to control the spindle speed. Input for a sensor for starting position for each of the three axes X, Y, Z. 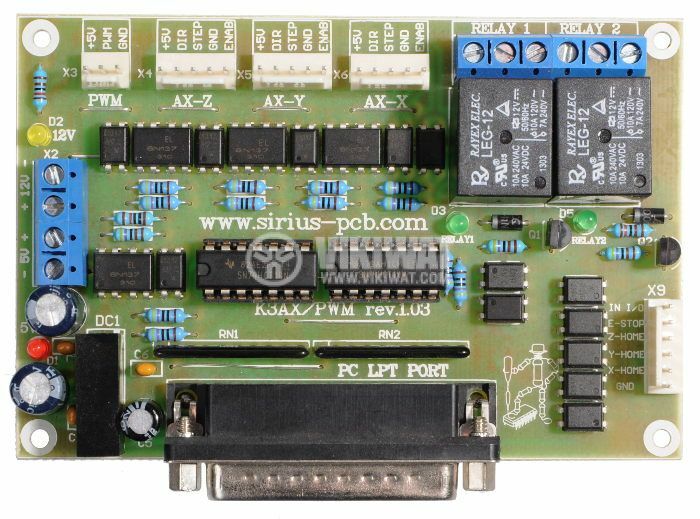 Application: This controller serves as a connection between the parallel port of the computer and various actuators such as stepper drivers and servo motors, frequency inverters for asynchronous motors, simple and SSR relays and other executive mechanisms. 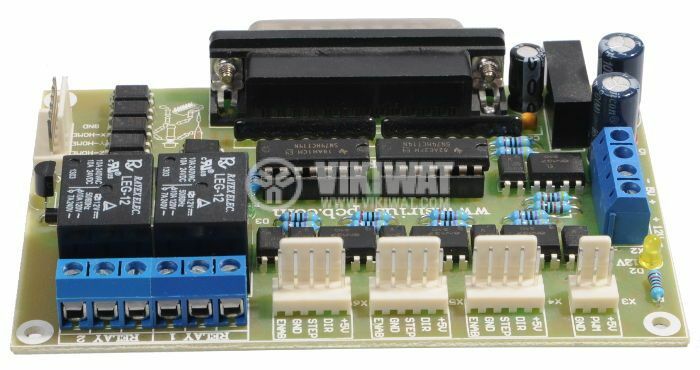 For this purpose is necessary to the parallel port managed by a suitable program such as Mach3, TurboCNC, KCAM4 and more.